Nothing is quite as hearty as comfort food, and we Midwesterners know how to do it best. Fortunately, we also know how to build up a killer ambiance to make a meal unforgettable. Digging into barbecue is always a fun (and messy) experience, but you have never tasted its extravagant flavor while touring through the National Park. 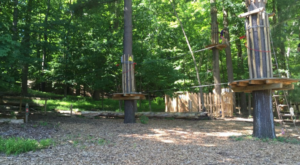 Fortunately, such an experience is just a short drive from home if you’re a Clevelander. 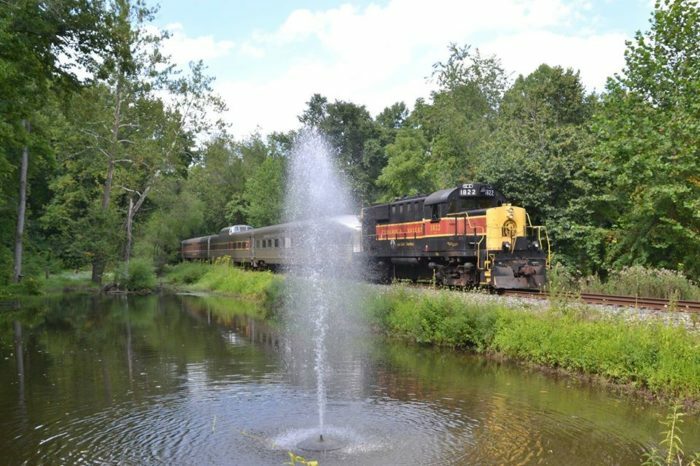 The Cuyahoga Valley Scenic Railroad is a little piece of serenity tucked away in the wilderness between Cleveland and Akron. This gorgeous excursion immerses visitors in the splendor of the countryside from the comfort of a locomotive. 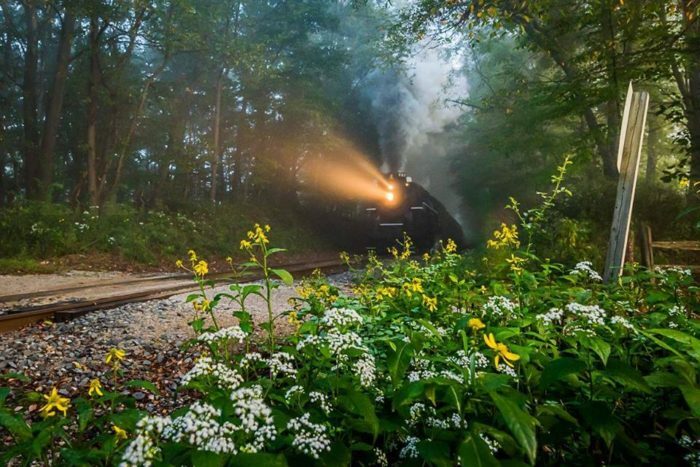 This train carves through an astonishing 33,000 acres of wilderness, allowing visitors to take in the scenery in an unrivaled manner. 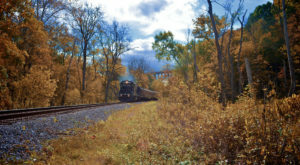 Not only is it a remarkably fun source of transportation, but the railroad also provides visitors a truly unique way to take in the sights. 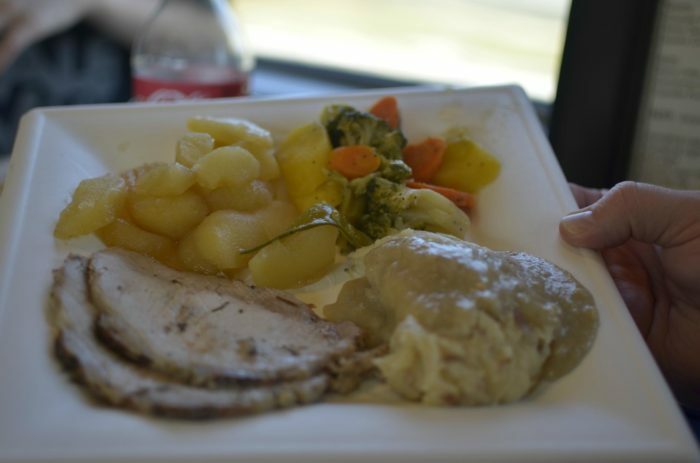 But perhaps the most fulfilling experience one can have on the train comes in the form of a meal, served hot and fresh in the dining car. 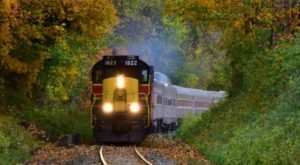 Evening Dining on the Rails offers a unique experience, whether it's just for fun or that romantic date night you've been longing for. If you're a fan of "early to bed and early to rise," you will probably prefer an afternoon Lunch Along the Cuyahoga. As with dinner, this experience includes a multi-course meal that will have your taste buds longing for more. 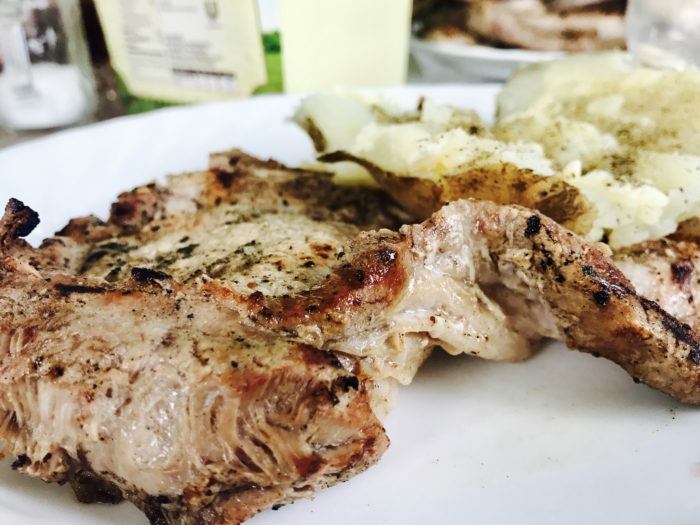 The menu differs for each excursion, but you'll probably spot favorites like Pineapple Glazed BBQ Pork Chops, Maple Bourbon Salmon, and a bit of southern-style barbecue. And, of course, a vegetarian option will be offered for diners with different dietary preferences. No matter what you get, visitors report that the food is always delicious. The dining train departs from the scenic Peninsula Depot, meaning this adventure is fairly close to home. A multi-course meal, a gorgeous scenic experience, and it's close to home? It's a wise idea to hop on planning your trip because tickets surely won't last. This unique dining excursion is offered through mid-September, and you simply must experience it at least once. You can purchase lunch tickets here and dinner tickets here. 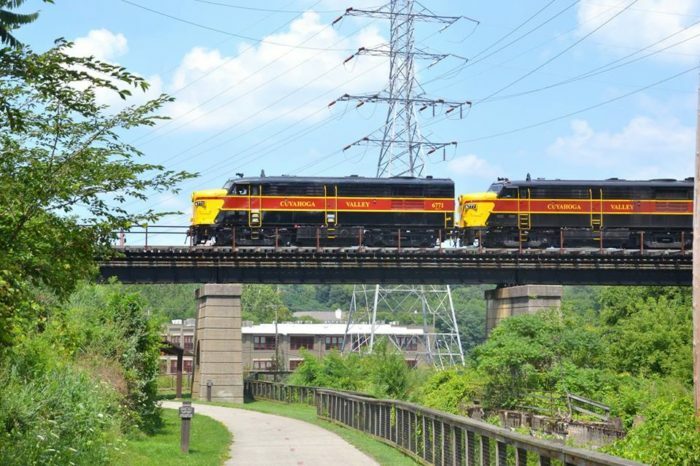 An enchanting train ride through the Cuyahoga Valley National Park will provide a feast for the eyes, but the dining train will leave your tummy satisfied, too. 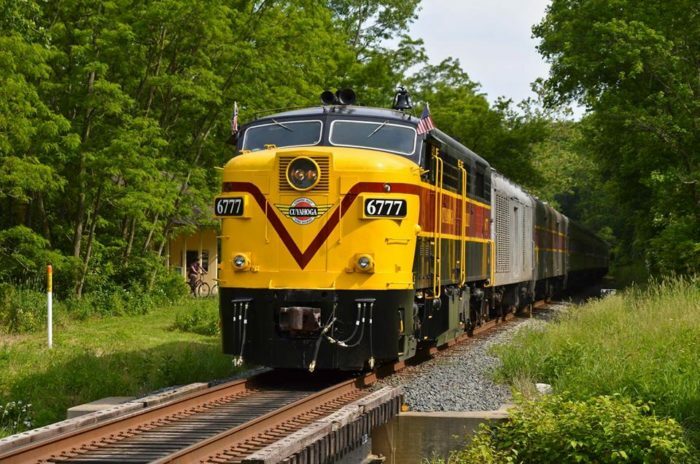 There’s nothing like a trip through the national park, but no excursion quite compares to a ride on the Cuyahoga Valley Scenic Railroad. Barbecue lovers are in for a treat on this trip, and every Clevelander should take a ride on the rails at least once. It’s too close to home to pass up! 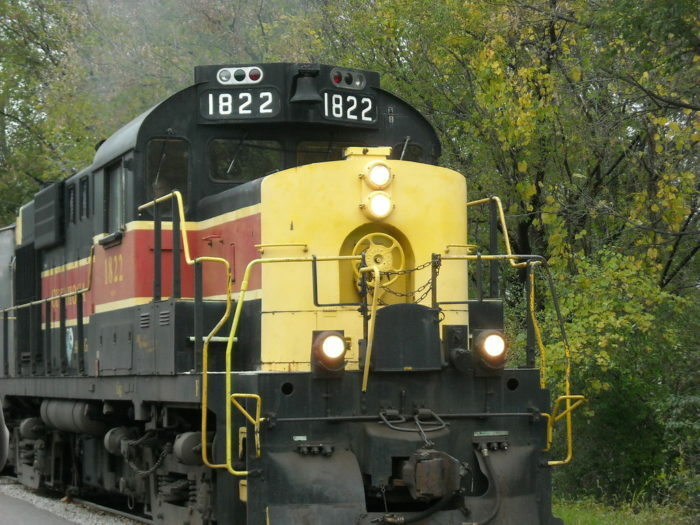 For more locomotive fun, check out this tiny train park near Cleveland.